We are manufacturer of an extensive range of Ultrasonic Sm 300 US. These machines function very well for different industry applications. Our customers appreciate our products for thir durability and good working condition. This type of Lab Ultrasonic Cleaner is efficient and effective equipment widely used for cleaning purposes in scientific laboratories wherein it is necessary to be free from contaminants. The cleaners are manufactured using high grade materials and are widely appreciated for their features like user friendly operations, excellent endurance capacity and optimum cleaning quality. Stencil Cleaners are a type of ultrasonic cleaners which are widely used in a number of different applications. The object to be cleaned is placed in a chamber containing a suitable solution (in an aqueous or organic solvent, depending on the application). 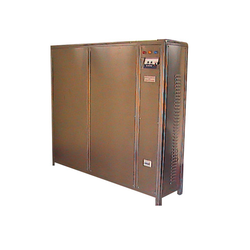 These are provided to the customers at affordable rates and as per the defined industry protocols as well. 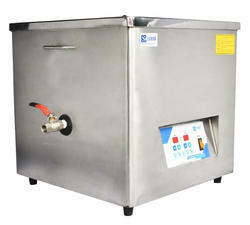 Looking for Lab Ultrasonic Cleaner ?